A leader who changes the world one workout at a time. 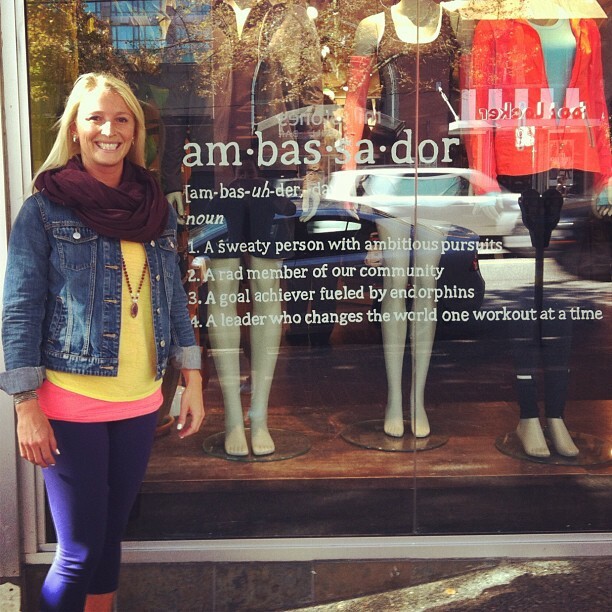 On July 20th I was asked to represent the Queen St. W lululemon at the Vancouver ambassador summit. I have friends from the store who attended, but I didn’t know really what to expect. As the opportunity grew closer I tried to not put too much expectation on it. I knew it would blow my mind and I knew I’d come back changed, so I wanted to keep my experiences real and authentic. On Monday Sept 10th I arrived in Vancouver with 70 other ambassadors from around the world. An amazing crew of leaders and professionals, none of us knew what we were in for, but we were all open to the learning and opportunity. After a quick (59 min) climb up Grouse Mountain – turns out no, it’s not “just a hill” as I had been referring to it as the previous week, the learning and exploration began. We attended workshops and seminars learning not only from experts in various fields, such as Susan Conrad founder of Igolu, but also each other. One of my favourites was presented by a fellow ambassador from Utah, Denise Druce, who shared about reputation and her professional story (as a fitness guru during what I believe to be the start of fitness – the 80s!). I was fortunate enough to have also been asked to share my message and presented to my ambassador colleagues how they can get involved in schools to share their passion for healthy active living, and as always I got them active with rubber chickens! Over the four days, we also got our sweat on which included 2 yoga class, a 10km run, and a 4 hour bike ride gave us time to explore Vancouver and get moving. 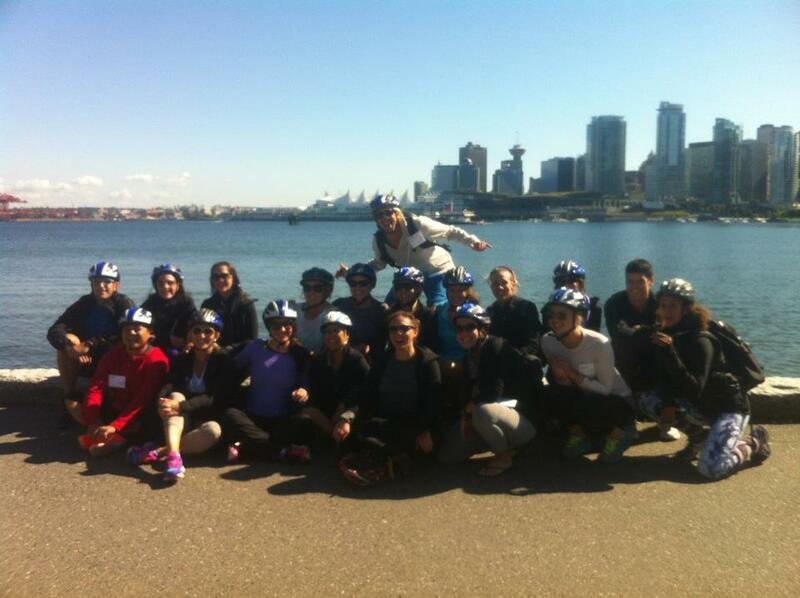 One of the activities that I enjoyed was led by lululemon trainer Tracy Hutton. She had use divide a piece of paper in half vertically and draw a happy face on one side and a sad face on the other. Under the happy face, we then recorded everything we had done the previous week that made us happy. We wrote what the activities were and the feelings we had associated with them. Next we did the sad side, writing activities we didn’t enjoy doing and the feelings connected with those. For me, I confirmed my love of fitness and physical activity. My learning came from the idea of focusing more on what we enjoyed, our strengths, and managing our weaknesses, those we didn’t enjoy. “Leverage your strengths and manage your weaknesses” Tracy told us. We learned to pay more attention to the activities we enjoy, to focus on becoming better at our strengths, and to find ways to manage those areas of weakness (like support from a colleague). After seeing Oprah in Toronto, she shared that we could not leave the room going back to doing the same things we had previously done, because we were no longer the same people. I believe this experience was very similar. We were no longer the same people. We learned about ourselves, we learned from each other, and together we will continue to elevate the world from mediocrity to greatness one endorphin filled workout at a time. Why students need health and physical education! 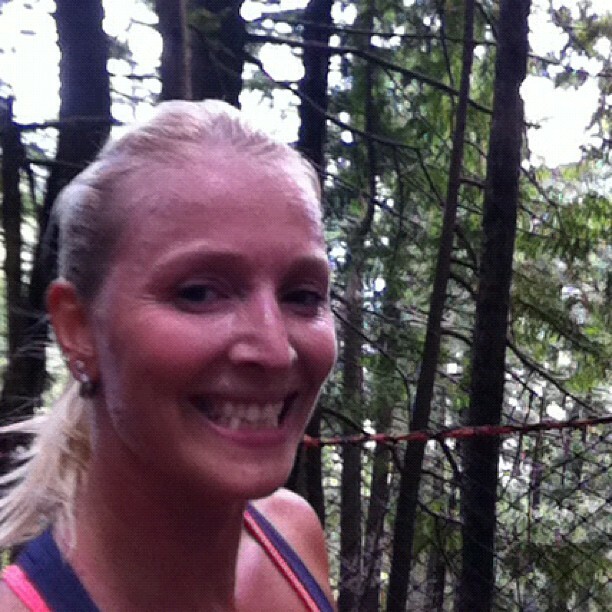 I just did the Grouse Grind for the first time last weekend! Congrats on doing it in 59 minutes. That’s an awesome time!